His orchestral, chamber, and vocal compositions have been commissioned by the Los Angeles Philharmonic, Metropolitan Museum of Art (for the New York Philharmonic), Kronos Quartet, BAM Next Wave Festival, Barbican Centre, Edinburgh International Festival, Sydney Festival, eighth blackbird, Sō Percussion, New York City Ballet, and many others. He has created theatrical works in collaboration with choreographers Benjamin Millepied and Justin Peck, visual artist Matthew Ritchie, the Brooklyn Youth Chorus, and composers Sufjan Stevens and Nico Muhly. He earned his bachelor’s and master’s degrees from Yale University. While at Yale in the late 90's, Dessner met the other members of the quartet that became Clogs, weaving compositions out of improvisations on classical instruments. Clogs has toured widely, releasing five albums since 2001. That same year saw the founding of the critically acclaimed, Grammy-nominated indie rock band The National, anchored by the Dessner brothers. Aheym, commissioned in 2009 by Kronos Quartet, was a breakthrough score. It made its debut before an audience of thousands in Brooklyn’s Prospect Park, not far from Dessner’s home. Since then, the ensemble has played the intense, anguished piece hundreds of times; it served as the centerpiece of a 2013 Kronos disc devoted to Dessner’s music on the Anti- label. St. Carolyn by the Sea followed in 2014 on Deutsche Grammophon, featuring the lyrical title work and two other Dessner compositions performed by the Copenhagen Philharmonic under Andre de Ridder. May 2015 marks the release on Brassland of Music for Wood and Strings, an album-length work performed by Sō Percussion on custom-built “Chord Sticks” that lend a shimmering, hammer dulcimer-like quality. As a performer and producer, Dessner has collaborated with a wide variety of musicians, among them Steve Reich, Philip Glass, David Lang, Bon Iver, Antony and the Johnsons, the Bang on a Can All-Stars, composer/guitarist Jonny Greenwood, singer Shara Worden, and multi-instrumentalist Richard Reed Parry. His activities as a curator have grown as his career has expanded, allowing him to bring diverse artists and communities together in an organic way. Most recently, he has been tapped to curate 'Mountains and Waves,' a weekend celebration of his music at the Barbican in London, May 2015, with guests including Steve Reich, eighth blackbird, Sō Percussion, Caroline Shaw, and the Britten Sinfonia. 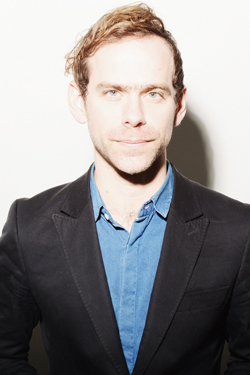 In September of 2015, Dessner will also curate a weekend of performances at the Cork Opera House, Ireland. In May 2015, Gustavo Dudamel conducted the Los Angeles Philharmonic in the premiere of Quilting, a 17-minute score co-commissioned with the BBC Symphony Orchestra. Upcoming projects include a score for the New York City Ballet, choreographed by Justin Peck, and a new work commissioned by the Metropolitan Museum of Art, to be performed by the New York Philharmonic. Both scores will premiere in the 2015-16 season.